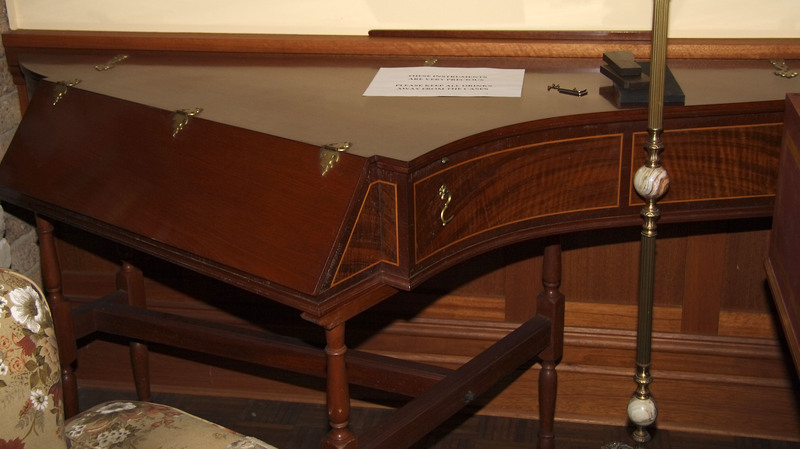 This domestic harpsichord bears the same relation to the more familiar “grand-shaped” harpsichord as the square fortepiano does to the grand, and was probably used in the town houses of the middle class in preference to the larger and more expensive full size harpsichords with which we are more familiar today, the originals of which belonged in concert rooms and the houses of the aristocracy. The keyboard compass of the smaller instrument remains the same, and it is equally suitable for ensemble and solo music, excepting only works which specify two keyboards, e.g. J.S. Bach’s “Italian Concerto” and “Goldberg Variations”.